Planning a family vacation to South Beach, Miami? This trendy spot offers miles of white sandy beaches, exotic food, and enough activities to keep every family member smiling. SoBe, as it’s called, is a 20-block stretch of oceanfront that sits at the tip of Miami Beach. 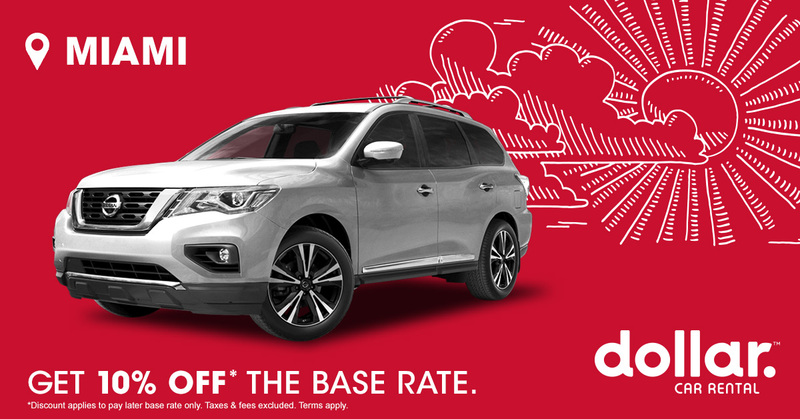 With everything from hotels and restaurants to boutiques and attractions, it’s at the heart of the action and offers everything you need for a fun-filled family getaway. To help you plan the perfect family trip, take a look at what to expect and where to go. South Beach is one of the most popular spots to visit in Florida, so be prepared for crowds, especially during winter months. It takes about 30 minutes to get to South Beach from Miami International Airport in normal traffic. 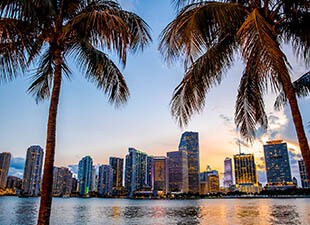 The Airport Flyer, an express bus, can drop you at Miami Beach, or you can rent a car to get around the area with ease. Temperatures average between 79 and 89 degrees Fahrenheit, and the water temperature is similar. If the forecast calls for rain, don’t race to change your plans. Tropical showers are common and usually pass in 20 to 30 minutes. South Beach has a lot of family-friendly activities. When you’re ready to explore, consider these options for a fun-filled itinerary. Lummus Park Beach is a popular area to visit right off the tourist strip known as Ocean Drive. Additionally, South Pointe Park Pier offers a variety of activities for families. Kids can fish, swim, play on the playground, and watch cruise ships arrive and depart. 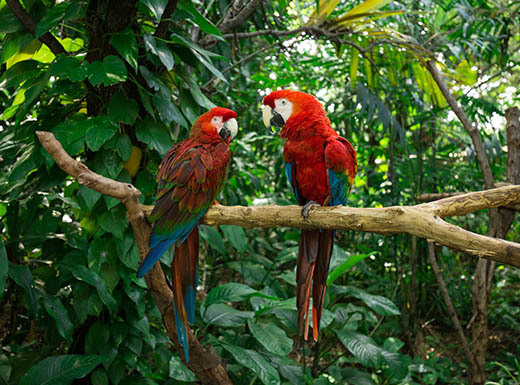 Tour the trails, see the animal exhibits, and watch shows like Winged Wonders, featuring macaws and condors flying overhead. Jungle Island is located about 15 minutes from South Beach on Watson Island. Go rock climbing, and let the kids wander through several imagination centers, such as a grocery store where they can shop for their own food. The vibrantly colored 56,000-square-foot Miami Children’s Museum is located on Watson Island. 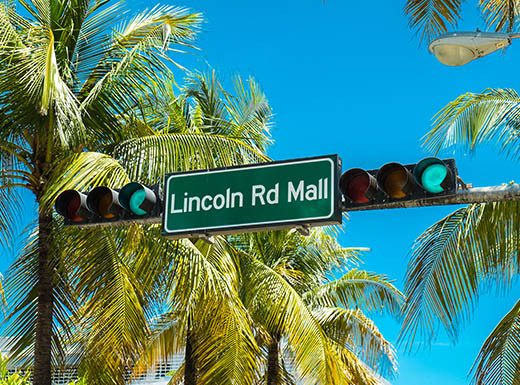 An outdoor mall on a pedestrian street, Lincoln Road is a great place to spend the afternoon. 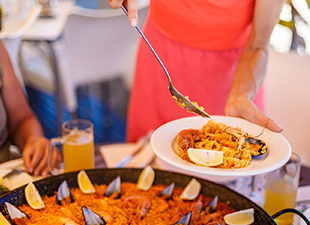 Grab a bite to eat for lunch, and stroll through shops that offer everything from high-end jewelry to tourist trinkets. Books & Books features a kid-friendly café inside, while Dylan’s Candy Bar is a must-stop for ice cream on the go. Take the family down Española Way, a pedestrian street lined with Spanish-Mediterranean buildings. Be sure to stop for dinner at Oh! Mexico, a family-friendly restaurant with lively outdoor seating and authentic Mexican food. New World Symphony turns the side of its building into a giant TV screen (called a WALLCAST) and projects its performances outside for everyone to see. Take chairs, blankets, and snacks and watch the concert on the lawn. It’s a great way to introduce kids to new music for free. 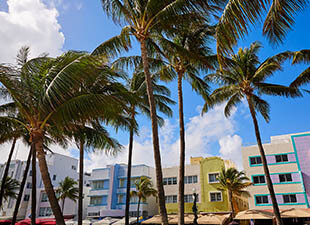 Planning a family trip to South Beach, Miami can be easy with the right itinerary. For more travel tips and inspiration, check out our Facebook page.